Colonial Charlestown, Inc., a non-profit organization, has restored this structure, with its colonial tavern, to reflect its past. 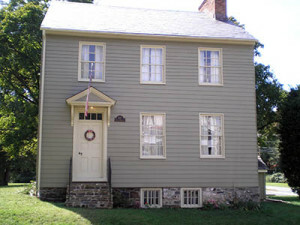 Open House is held the third Sunday from 2-4pm, May through October. Tours may be given upon request: call (410) 287-8262 for more information. Come and learn about the Town’s heritage. The local Boy Scout troop (Pack 367) meets each Tuesday 6:30 – 8pm at the Charlestown Baptist Church. Contact Andy Privett, Scout Master, at (443) 674-8222. A branch of the Cecil County Boys and Girls Club, the Charlestown Boys and Girls Club is located at Charlestown Elementary, 550 Baltimore Street. Any Cecil County youth between the ages of 6 to 18 may become a member. Membership fee is $5.00 per member per year. 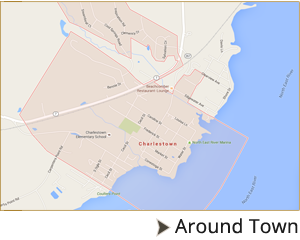 To obtain a membership application form, visit the Charlestown Boys and Girls Club or Town Hall. For more information about the club, contact the Cecil County Boys and Girls Club main office at (410) 398-5076. The P.T.A. meets each month at the elementary school. When meeting dates and times are established, notices are telephoned out and also sent home with the children. School phone number (410) 996-6240. The local Girl Scout troop (911) meets the 1st and 3rd Monday at St. John’s United Methodist Church at 6:00 pm. This is a junior troop, ages 9-11 years. For information call Brenda or Kristy Sweet (410) 287-5548. Elk Neck State Park, situated between the Elk and North East Rivers in Cecil County, Maryland, provides an opportunity for visitors to explore the diverse landscapes that overlook the Chesapeake Bay. Join the Naturalist for these family fun events. Please call (410) 287-5333 for more information and to make your reservation.